Pima’s Archaeology Centre is a long standing institution that has helped students gain the necessary skills needed to become an archaeologist. “The Archaeology Centre is a facility with faculty, staff and equipment to support the education and training of archaeology students in field methods. Students learn to locate, map, document, and excavate real archaeological sites,” Says Mary Prasciunas, Director of the Archaeology Centre. What’s unique about the Archaeology Centre is that the classes offered differ in format from other anthropology based classes offered at Pima. but don’t actually know how to dig,” Tineke Van Zandt, Anthropology/Archaeology Department Head said. Pima’s Archaeology Centre has conducted over 220 field and research projects in Arizona and in Sudan, Egypt, Hawaii, Brazil, Peru and France. The Archaeology Centre provides some impressive student opportunities. “Students themselves participate in a wide variety of field and research projects through the Centre for Archaeological Field Training. Our Community Partnership Program provides students with unique opportunities to engage in archaeological projects with entities such as local businesses, state and federal agencies, academic institutions, and other researchers. Most of our current projects are local, but we are also conducting ongoing international fieldwork in Egypt and Sudan. 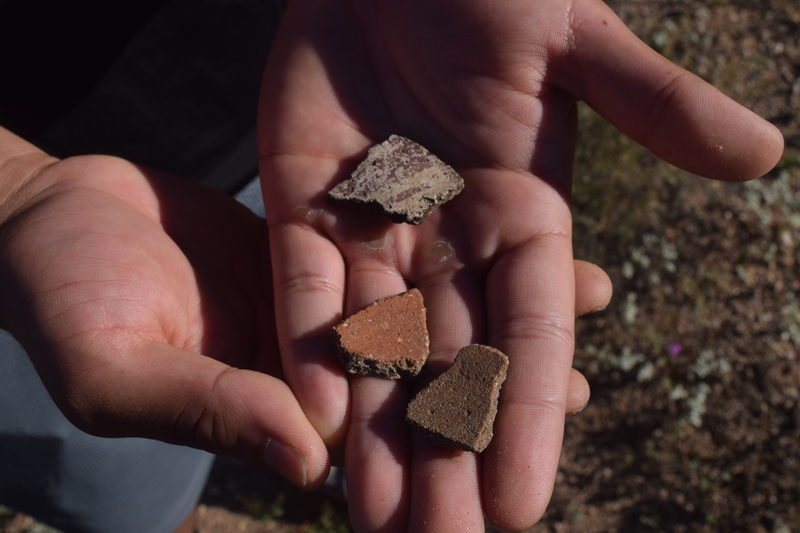 At the 2019 Society for American Archaeology meetings, students will be presenting on the field and research projects they have been involved with through the Archaeology Centre. These projects are both local and international in scope, and include the results of archaeological survey, artifact analyses, excavation, and geospatial mapping projects,” Prasciunas said. The Archaeology Centre is a world renowned resource in the field, and as far opportunities go, its students go on to do great things. interpretation and the protection of archaeological heritage of the Americas.” With over 7,500 members, they’ve worked extensively with government agencies, museums and in the Classroom. “Pima faculty and staff have been members of the organization for decades. …. Our students also have a unique opportunity to participate and present the results of their research at the largest archaeology conference in the country at the beginning stages of their careers,” Prasciunas said. While this isn’t the first time the Archaeology Centre has been involved with the SAA, involvement with such a big conference is a big step for Pima’s archaeology students. “Attending and presenting research at the annual Society for American Archaeology meeting is a great opportunity for PCC archaeology students! Students will get to see first-hand how professional conferences are organized, and how papers and posters are presented in a professional setting. They will gain experience presenting their own research-based posters, which will help them prepare for their future careers as professional archaeologists. They will have an opportunity to share their original research with a community of interested students and professional researchers from across the country. Finally, they will get to experience 5 days of exciting presentations on a diverse array of archaeological research topics,” Prasciunas said. The lessons learned from this year’s conference can still benefit Pima’s Archaeology students in many ways. “Field and research projects are initially offered through the archaeology field classes, often as supplemental opportunities designed to enhance student learning. Community partners seek out our students to assist in their research projects, giving students an opportunity for additional hands-on training outside a formal classroom environment. Students can then continue to incorporate their research projects into additional archaeology classes they are taking,” Prasciunas said. If you’re a student who wants to become more involved in the field of archaeology. “Our field classes are open to everyone with an interest in archaeology. Whether you are a complete beginner, or you already have archaeological experience, everyone is welcome. Come take a field class this spring and see how fun archaeology can be!” Prasciunas said. “We’ve had students come from all over the country just to study archaeology here. We’ve had students from all ages ranging from highschool age to late 70’s,” said Van Zandt. The National Register of Historic Places and a Stations of the Cross – Eligible?